Lucy Lawlesss, Bernard Curry and Ebony Vagulans. 10 has confirmed the cast for its brand new Australian contemporary mystery series, My Life Is Murder, as filming commences in Melbourne today. The iconic and world renowned Lucy Lawless ( Xena: Warrior Princess, Spartacus, The Code ) will star as Alexa Crowe, a compelling, charismatic and complex homicide detective. Fearless and unapologetic, Alexa’s unique insights into the darker quirks of human nature allow her to prod, provoke and push every felon’s right and wrong buttons as she unravels the truth behind the most baffling and bizarre crimes. And as many a crim can attest, underestimate Alexa at your own peril. 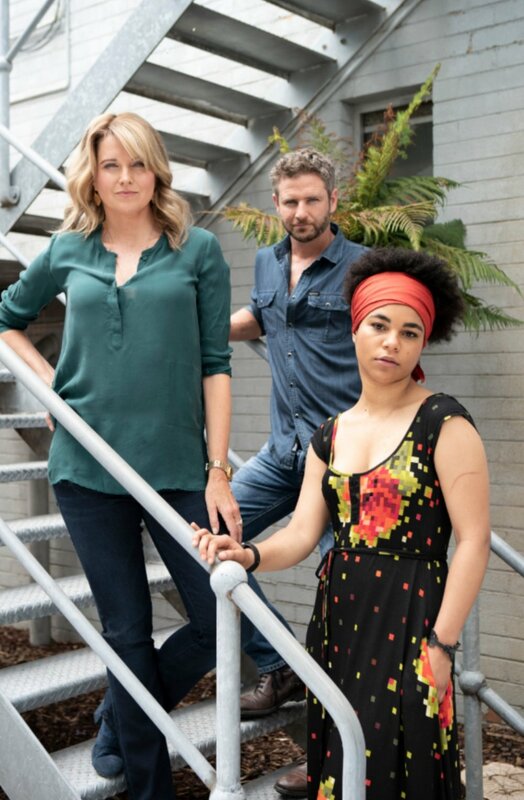 Joining Lucy and rounding out the power trio behind the My Life Is A Murder throne, are the dynamic and talented Bernard Curry ( Home and Away , Wentworth ) and brilliant newcomer and NIDA graduate Ebony Vagulans. My Life Is Murder is a CJZ production for Network 10. Principle production investment from Network 10 in association with Screen Australia. Financed with support from Film Victoria. International distribution will be handled by DCD Rights. The performer representing Australia at Eurovision is...?